Love Inks are a three piece band from Austin, Texas. They’re due to release their single Blackeye in the UK in the summer. This is all the information I’ve been given, like it’s some sort of big secret, but being the lucky person that I am, I’ve been sent the track to listen to. The first thing I have to say is that they’ve chosen the right time of year to release it. It’s your typical summer track. The vocals are fresh and airy like a nice summer breeze and the music is relaxing. It’s a track that you would confidently play if you had friends over for a summer evening BBQ. On top of this, it’s such an easy track to listen to. The lyrics are immensely easy to learn due to them mainly being “You’ve got blackeye on your eye” repeated throughout the song. The other thing is that the music doesn’t vary much allowing it to feel calm. The only problem with this is that there’s no real impact when you listen to it. It’s quite a passive song. There are some really nice elements in this track though. As I mentioned earlier, the vocals are good. They do fall within the stereotypical idea of how Indie vocalists should sound but there’s something comforting about the way it’s sung. If they release an album, I’d hope for a bit more variety. If they produce an album where none of the songs go anywhere, they won’t make it far. But saying that, Blackeye is refreshing in its own way. Job well done Love Inks. Stupidly, I agreed to go and see this heart stopping, gross film. I’m sure you’ve all heard of it by now, it’s 127 Hours. Luckily, through all the tension and slightly disturbing parts, it was a really good film and the music was definitely key to this. The director, Danny Boyle, has paired up with A.R. Rahman again for this soundtrack. They worked together on the multiple oscar award-winning Slumdog Millionaire and they’ve teamed up again on this triumph to wow audiences with an emotional whirl wind of a soundtrack. In 127 Hours, music is an essential part from the word go. 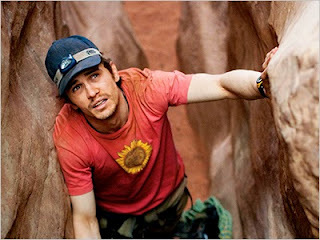 As soon as the film starts, a thumping bass track called Never Hear Surf Music Again by Free Blood is played while Aron Ralston (James Franco) sets off on his adventure. It’s a powerful song that symbolises his adrenaline and excitement for his trip. Never before have I been so involved in a film and its soundtrack. The music is such an integral element to this film. It helps create emotions within you that wouldn’t be as strong without that particular song or composition. It’s such a rollercoaster of a ride watching this film. Your hands will be sweaty, your heart will be beating two times as fast as it should be and you’ll want to look away or leave the cinema during some moments. The music which accompanies every scene draws up all the extra emotion within you for you to be able to fully appreciate Aron’s situation. The compositions by Rahman, such as the trio Liberation Begins, Liberation In A Dream and Liberation, are just fantastic pieces of music. They appear throughout the film in different sections and although it’s same piece of music which is gradually built on, they capture the atmosphere and panic of Aron so well. When you listen to them they’re quite simple compositions, there’s nothing fancy going on, but they bring so much to the scenes. It’s definitely this type of music that made my heart skip beats and my hands begin to sweat. Throughout, the soundtrack excelled itself. It mixed fast paced, bass music with pop songs such as Bill Withers’ Lovely Day to the more touching vocals of Dido in If I Rise. For every emotion there was a song to sum it up and that’s what a soundtrack should be. I’ve always been a huge fan of You Me At Six and recently Josh Franceschi (lead singer) has been tweeting saying he’s writing new material for their new album. This makes me very excited. On top of this, I get to see them again when they support Blink 182 later this year. So in aid of all the You Me At Six-ness that is happening in 2011 I’ve been listening to their old albums a lot. When they first released Hold Me Down I liked it but it was quite obviously different from their debut Take Off Your Colours. I couldn’t decide which I liked more but now I know it’s definitely the second album. There are a few reasons for this. In Take Off Your Colours Josh’s vocals are great, his lyrics good and the music also good. But you can tell that they were young. All the songs are fantastic but there’s that element of teenage music to it. However with Hold Me Down, everything about it is mature. The lyrics are perfect. Each song I can relate to somehow. Josh’s vocals are stronger than before and he does small things that leave you wanting more. Musically, the band upped their game. There are a couple of tracks that really stand out on Hold Me Down, these are: Stay With Me and Liquid Confidence. Both of them are just great classic songs. Josh’s vocals are at his best and there’s passion from the band in these songs. I went on a CD binge today and spent my Christmas monies. 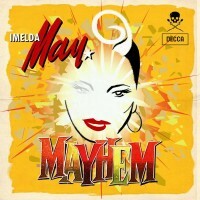 I purchased three rather depressing yet great albums by Elliott Smith so I thought to balance it out I’d buy Imelda May’s newest album Mayhem. This is one of the greatest albums I’ve heard in a long long time. Her voice is amazing and so original, there’s definitely no-one like her in the market at the moment. Her music will instantly uplift you and make you happy. After finding out about her at the Cheltenham Jazz Festival last year, I’d never quite got round to sussing her out. But after seeing her perform the remixed version of Inside Out on the Graham Norton show last week, I fell in love with the song straight away. She’s classy and cool. She’s like a 1940s jazz star and it’s great! It’s great to have someone like her producing daring, unconventional music not typically seen in the charts. Mayhem is a classic. 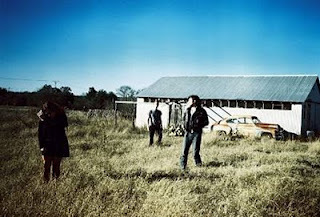 It has a strong blues influence while also combining tokens of country and western on some of the tracks. Her vocals are breath taking. She’s a female Elvis without a doubt. If you’re looking for 1950s diner music, look no further. The main point of this post is to persuade you all to go buy yourselves a copy. You won’t regret it. I swear Rihanna gets more popular by the minute. Her music seems to be enjoyed by most people without complaint so she must be doing something right. Yesterday NME posted an article on their website detailing Rihanna’s success in recent years. 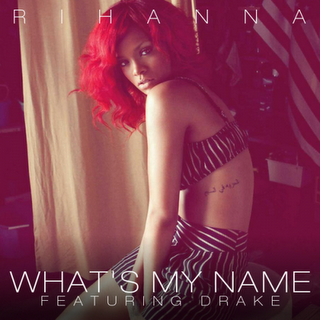 With her single What’s My Name going to number one last night she’s equaled Elvis Presley’s chart record after achieving a number one hit every year since 2007, giving her five in total. On top of this she’s the first ever female solo artist to achieve this stature. Now to me this spells out that she’s loved by us. All her singles are catchy pop songs that are permanently played on the radio. And as much as I want to dislike them sometimes I just can’t. When she first entered our charts back in 2005 with Pon de Replay I never thought she would be as successful as she’s become. Looks like I was wrong. To be on par with Elvis is a pretty amazing achievement for someone who’s only 22 and I think 2011 will have us seeing even more of the Barbados born star. EMA aka Erika M Anderson. Previous member of the band Gowns. Now a solo artist. Her first recording is The Grey Ship. Growing up in what she describes as the “dive bars and rotten graveyards of South Dakota” her music is very typically American. The acoustic guitar that starts the song off accompanied by her vocals straight away reminds me of something you’d hear on the soundtrack for a Hollywood film. This isn’t a bad thing by the way. Her voice is breathy and calming on her debut but the first lyrics, “When you see that ship it is the ship you can’t see” don’t exactly sell the song in terms of ground breaking lyrics. However, that doesn’t seem to matter and is easily brushed off. The first half of the track, although simple and basic with the same guitar chords on repeat, doesn’t become dull. But just when it could possibly turn into a boring repetitive song, she drops the bass (as everyone refers to with this song). It becomes another track altogether. Now I’m not quite sure about this. All lyrics and music apart from the acoustic guitar fade out and then wham! The bass comes in alone. It’s done cleverly and brings in more electronics than before. It brings the tempo up and it goes from relaxing to becoming a great iconic indie club song. But I can’t help but feel it’s too different in places from the first half, leading it to sound like it’s the second track on a single. Either way, The Grey Ship is good. It’s mixed well and although some of the lyrics aren’t the best ever written, it’s a great song. Especially the last 15 seconds where her vocal abilities really shine through.